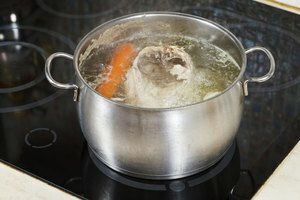 Blanching isn't cooking, so you don't need aromatics, herbs or spices; instead, it's a preparatory technique that sets food up for cooking. 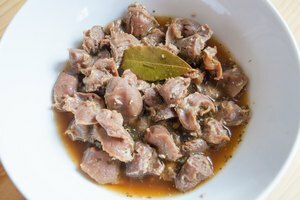 Blanching purges aggregated proteins, residual blood, surface bacteria and other impurities from chicken before you cook it. 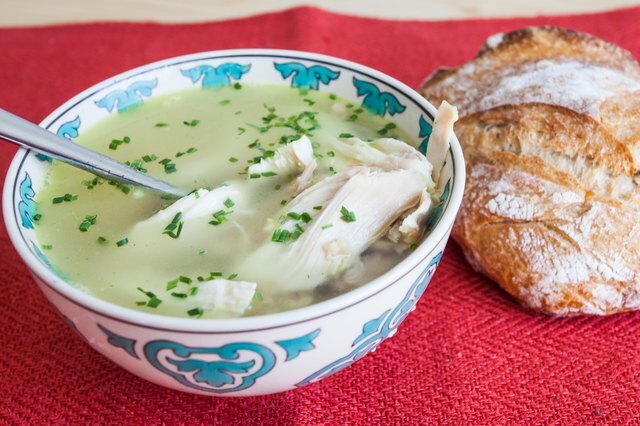 Although the impurities would purge anyway in the broth or soup to which you're adding the chicken, blanching gets rid of them beforehand, resulting in soups, stocks and broths that have the utmost clarity. 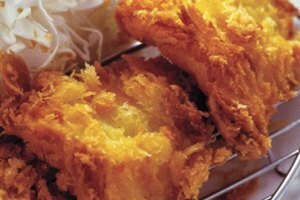 Crisp, golden-brown chicken skin, with its mahogany hue and crackling bite, is the hallmark of a careful cook and a quality fowl. 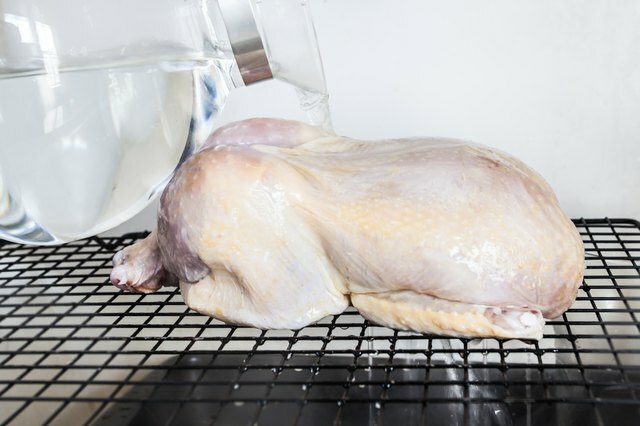 Despite the humbleness of roasted chicken, and the simplicity of cooking it, attaining the holy grail of poultry pleasure isn't as easy as slapping the bird in the oven and baking it for an hour, but flash-blanching improves the odds significantly. Flash-blanching instantly tightens the skin around a chicken like a tight glove and takes it to the halfway point of crispness, and you don't need an Army-sized stockpot to do it. To flash-blanch a whole chicken, remove the fat from around the cavity and set it breast-side down on a wire roasting rack in the sink. Bring a few quarts of water to a boil -- tea kettles work well for this -- and pour half of the water over the bird. Next, turn the chicken over on the rack and pour the remaining water over it. You need to blanch whole chicken for about 10 to 15 minutes if you intend to use it for chicken soup and broth. 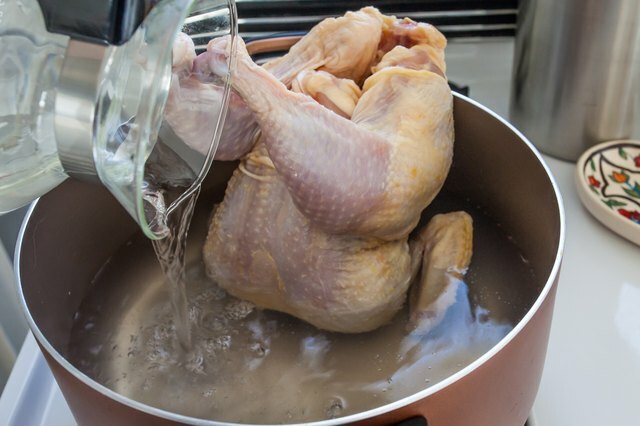 Set the chicken cavity-side up in a deep stockpot and cover it with 3 or 4 inches of cold water. Bring the water to a rolling boil and continue for 10 minutes. As the water boils, skim the froth from the surface of the water and the impurities that adhere to the sides of the pot. Take the pot from the stove when you see the foaming subside. Next, carefully transfer the chicken to the pot you intend to cook it in. Breasts and thighs yield fewer impurities than a whole chicken, but they still benefit from the technique. If you plan to grill a few breasts or a few thighs, don't bother with blanching: The impurities will be long gone by the time they finish cooking. But, if you plan to cook them in soup, first blanch them for 3 minutes at a rolling boil; then transfer them directly to the cooking pot. Always blanch chicken bones and carcasses before making stock; the bones come out visibly cleaner, and the stock will have more clarity than if you used unblanched bones. Rinse the bones or carcass under gently running water and transfer them to a pot. 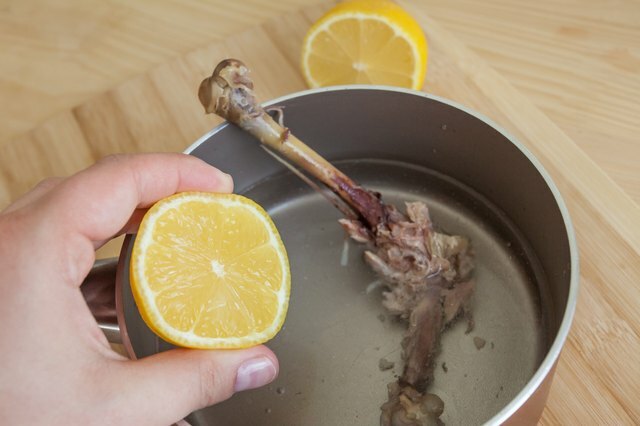 Cover the bones with a few inches of water and add a tablespoon or 2 of lemon juice; the acid helps with whitening. Bring the bones to a rolling boil and blanch them for 3 to 4 minutes. 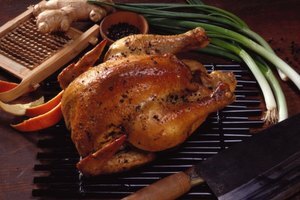 Treat blanched chicken as you would raw chicken: If storing the blanched chicken for any length of time, keep it segregated from other foods. Store blanched chicken in an airtight storage container on the bottom shelf of the refrigerator. 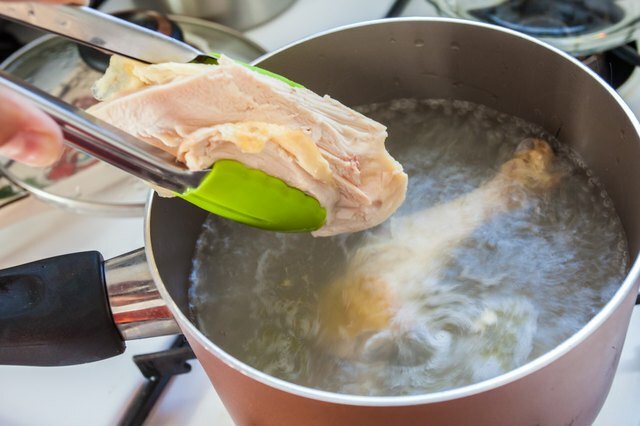 Never rinse raw chicken in the sink, and sanitize surfaces that the chicken came in contact with using a bleach-water solution. 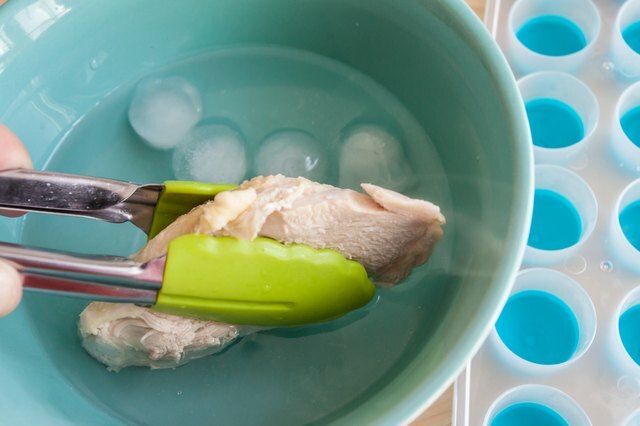 If you plan to blanch the chicken a few hours to a day before you cook it, add it to a bowl of ice water immediately afterwards to lower the temperature to 40 degrees Fahrenheit or less, the temperature at which bacteria can't thrive.